If you’re a fan of photography who enjoys capturing high-res images in burst mode and shooting 4K videos, you’ll know the benefits of having a speedy SD card. 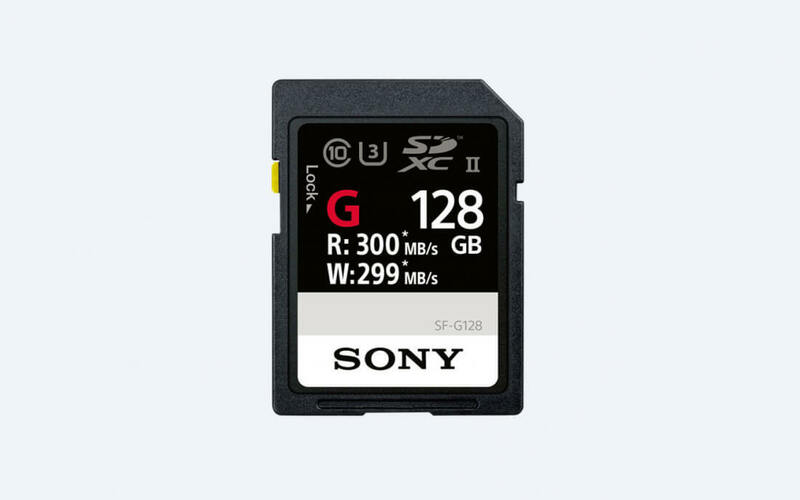 It’s something that Sony understands - it hopes to tempt photographers and filmmakers with what it claims to be the “world’s fastest” SD card: the SF-G series. The cards will be available in a 32GB SDHC version along with 64GB and 128Gb SDXC models. They boast a maximum write speed of 299MB/s along with a top read speed of 300MB/s. For comparison, the next-fastest SD cards - SanDisk’s Extreme Pro UHS-II series and Lexar's Professional 2000x UHS-II series - have max write speeds of 260MB/s and read speeds of 300MB/s. Moving away from the professional offerings, many UHS-I cards usually have maximum read/write speeds of 80MB/s. “As the continuous shooting of higher-resolution images and adoption of 4K video with DSLR and mirrorless camera increases, the inherent need for larger, faster and more reliable cards becomes apparent,” said Sony’s Product Marketing Manager for Europe, Romain Rousseau. The SF-G series supports the UHS-II interface, which allows for faster transfer rates on supported hardware. To make the most of those blistering speeds, Sony is releasing a high-speed card reader, called the MRW-S1, that uses the USB 3.1 interface for performing fast file transfers to and from computers. Sony’s managed to achieve the high speeds in the SF-G series thanks to the company’s unique firmware and new algorithm that “prevents the decrease of data-writing speeds.” In addition to their impressive performance, the cards are also waterproof, temperature resistant, shock-proof, and x-ray proof. The SF-G series SD cards will be available in March and the card reader is expected in April. No word yet on how much they will cost, but expect to pay a relatively high price.